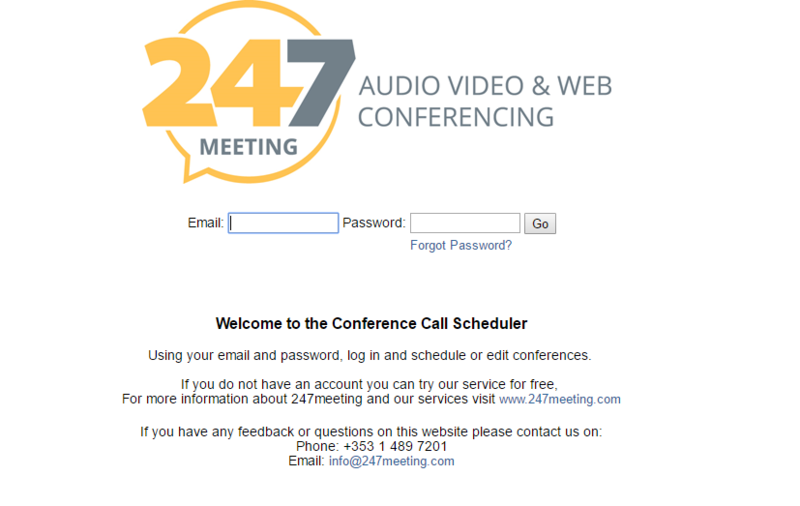 In addition to the standard ‘Anytime Conference Call’ (no need to book, PIN codes are permanently active), 247meeting provides a customisable online portal to allow you to Schedule calls. This can be centrally administered (e.g. IT or Administration book each call), or each end-user can book their own calls.